Rahul is an 11 year old boy. Very tragically Rahul recently lost his father. He was a farmer and the sole bread winner of the family and was killed in July 2010 when the tractor he was driving over turned. His mother was also injured in the accident and now struggles to support her 2 children. This is a truely sad and destitute situation. Rahul enjoys attending school and his favourite subject is all subjects. When he is not at school he loves to playing soccer. 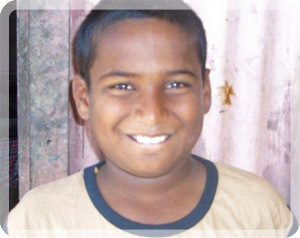 Rahul travels to school each day by bus. When he grows up, Rahul wants to be a doctor. 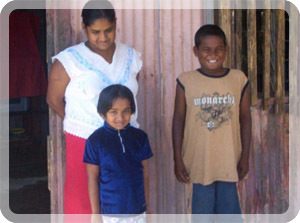 The family is very poor and the child's mother desperately needs support. Rahul nowreceives the education every child deserves.